I LOVE THE LADIES!!! So I wanted to write a post about some of my favorite female career role models, and how they inspire me. Here are my current top 5! 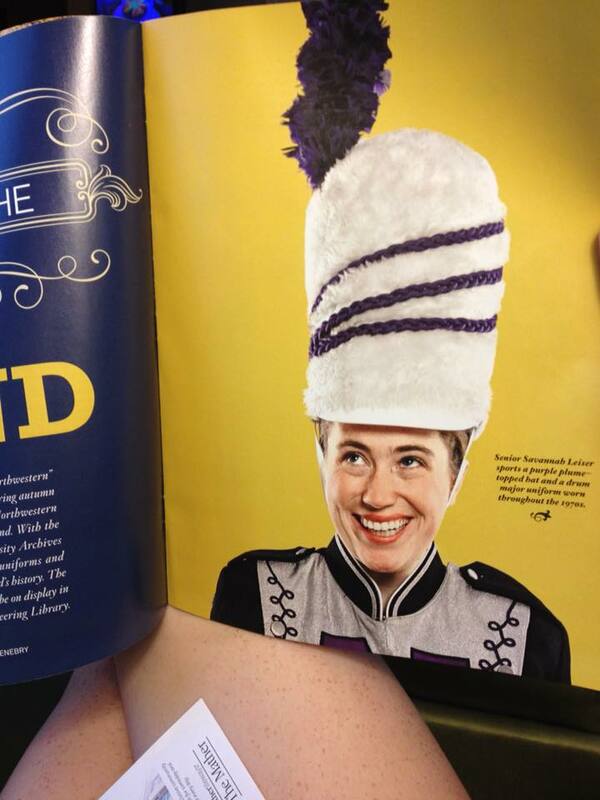 When I was 21, I was in a magazine along with Elaine from Seinfeld. 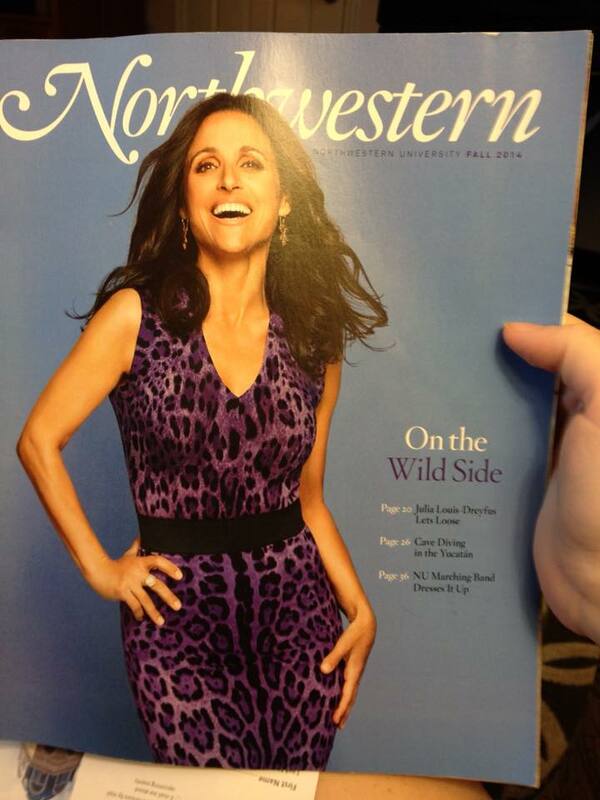 It was Northwestern Magazine; she was the cover, and I was the centerfold. I tweeted at her about this, but she did not respond. Typical celebrities, I guess. Anyway, I love Julia Louis-Dreyfus because of her awesome commitment to Northwestern and proud displays of Purple Pride long after becoming famous. I love how frequently she comes back to Evanston and watches football and basketball games (and that her son's on the basketball team! ), and I love that we were once in a magazine together, even if her publicist will never show her my tweet about it. She won a screenwriting Oscar at the age of 29 for her first script. SHE. WON. A. SCREENWRITING. OSCAR. AT. THE. AGE. OF. TWENTY-NINE. FOR. HER. FIRST. SCRIPT. I have four years to get on her level. Wish me luck! Felicia Day is currently my #1 celebrity crush, which is quite a feat, because if you knew me in 2012, you would've thought no one could ever beat Benedict Cumberbatch. I love so many things about her--from her innovation in creating so much web show content, to her self-starting attitude. Also, I LOVE how she totally owns being a cute nerd girl. I've heard lots of men hate on her for that, and I can't begin to understand it. Read this post & you'll understand why I see her as a role model. My senior year of college, I went to a screening of Selma where director Ava DuVernay was giving a Q&A. As a senior film major who dreamed of being a screenwriter, and spent all my "spare" time directing student films, I was so excited to hear from a female powerhouse in the movie industry. During her Q&A portion, someone about my age went up to the microphone and asked an important question--what should women (and women of color even more so) do about the fact that so much of Hollywood seems to reject their stories? Isn't it easy to get discouraged when you're part of a group that mainstream movies tell us time and time again don't matter? Her answer was incredible: You have to be ON FIRE, or don't bother. She explained how insanely competitive and difficult this industry was, and how yes, it's even harder for people from marginalized groups. But you HAVE to be willing to push past ANY obstacles that come your way, otherwise there is no way you can make it in this type of business to begin with. She explained that if you're not constantly on fire with passion for what you're doing, then just choose a different career. As she explained this to everyone in the audience, I started to get excited. Because I knew that I WAS on fire about writing. And yes, I'd have a long, exhausting road ahead of me--but unless I kept that fire of passion constantly burning, I didn't stand a chance. So I've kept that passion burning ever since. I later tweeted at her about how much that answer inspired me. And guess what? SHE RETWEETED ME. I was giddy beyond belief. 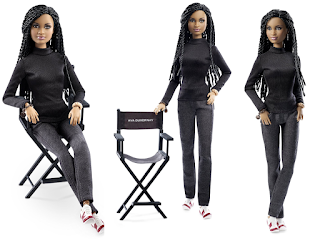 My only regret was that during that year, the 2015 Ava DuVernay Barbie sold out before I could get one. How could my favorite author NOT be my top choice for role model? When I read her work, I feel a strong desire to learn from her and improve on my own writing. She's a contemporary young-adult author who sometimes writes fantasy. I'm a contemporary young-adult author who's venturing into sci-fi. I feel like there's no one whose career I could learn more from than hers. After I finished reading Carry On, I had this urge to try writing a novel in alternating first-person POV, since she nailed it so well in that book. The next novel I wrote, Sculpt Yourself, alternates among the three main characters, and I honestly feel like reading her work is what put me up to that challenge. Also, she's just the kind of author I'd like to be one day--one who regularly interacts with fans on Twitter, who creates playlists for all her characters and puts them on the Internet, who does all these things to just make her fictional worlds feel so IMMERSIVE. I love it so much I don't have the words for it. wow awesome post! I will share this post with my team members working at https://nexter.org/category/celebrities they definitely will get inspired by this post. Thank you for your nice comment! :) I'm so glad you enjoyed this post, and I hope others do too!